…brought to you by the letter, ‘B’. 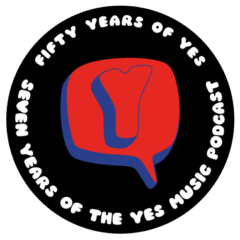 The forty-ninth episode of the Yes Music Podcast featuring the letter, ‘B’. What can you think of for the letter, ‘B’? Listen and see if your letter ‘B’ choices are included. Then let me know by contacting me via any of the different routes on the right hand side or by leaving a comment below! B is for Bravo ! Great pod cast Interesting take on Big Generator I think that album was to long in the making of and when it did Finley get finished it was not the master piece it should have been. Bill Buford to me he is on the same level as Mr. Chris Squire hands down with out him in the beginning there would be no Yes. I think Peter Banks served his Yes very well in those early days for sure and like you said with out him in the beginning there is no Yes.I really liked your take on the Buggles I would have to agree that there probably not be any Yes Music after Tormato. I can’t wait to hear that track by Antoine Dufour. Totally enjoy listing always a delightful event! Thanks Paul. As usual I find myself agreeing with you! Keep listening! I’m just a old fart…. Bitchin’. Totally bitchin’. There’s a “B” word to describe Yes. Another great show Sir Kev. Keep ’em coming. You should maybe do a few shows on the offshoot bands like Squackett, Conspiracy et al. But it’s your podcast of course, you make the rules! Thanks Scott – it’s great to know you are listening and enjoying! I do indeed intend to look more widely now and those bands you mention are definitely on the list! I particularly enjoyed this week’s segment on b-sides. I’ve only recently started listening to your podcast, so if you haven’t done so already, a possible topic for a future show could be an appraisal of the odd stray tracks and rarities that Yes has released over the years. I was motivated to comment here this week because I specifically remember buying a “Lift Me Up” cassette single in 1991! I don’t know what I was thinking. So the song is technically an A-side. “Saving My Heart” was also released as a single the same year, also to support the YesYears boxed set. I think all versions of the 1991 “Owner of a Lonely Heart” single only included selections of remixes of the title track. And my subjective opinion is that these two tracks represent the best and worst of Yes… I still really like “Lift Me Up” (proving I’m not a Trevor Rabin hater) even though it’s far more pop than their progressive heritage, but I find “Saving My Heart” simply appalling and unlistenable. Thanks for the comment, Chad! Thanks also for the link to that discography site – could come in very useful! It was really tricky to try and identify those B sides. There are certainly some tracks in the back catalogue which should stay ‘under wraps’…and it will be fascinating to hear what Anderson, Wakeman and Rabin come up with – will it be prog?